Jet Ski Tour to Two Lovers Point! 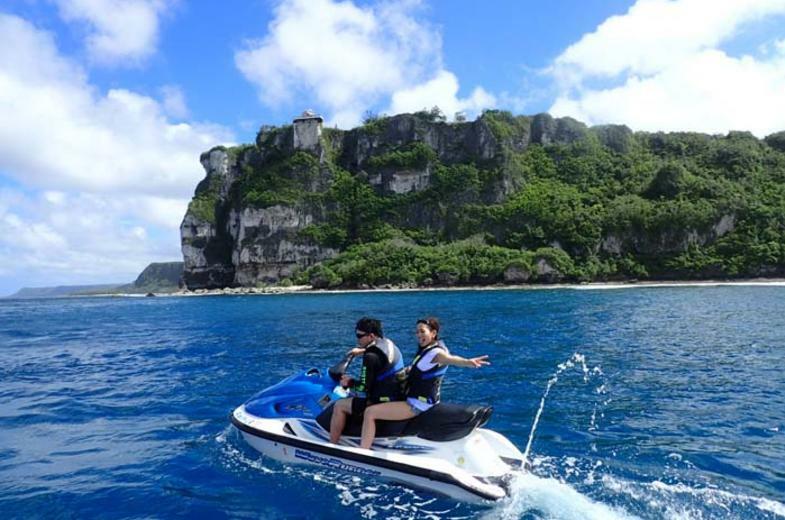 Ride your own jet ski following a tour guide on this scenic 16-kilometer (roundtrip) jet ski tour outside the reef to the famous landmark Two Lover’s Point. The tour starts in Agana Bay and continues across Tumon Bay to reach this beautiful destination on the northern tip of Tumon Bay. 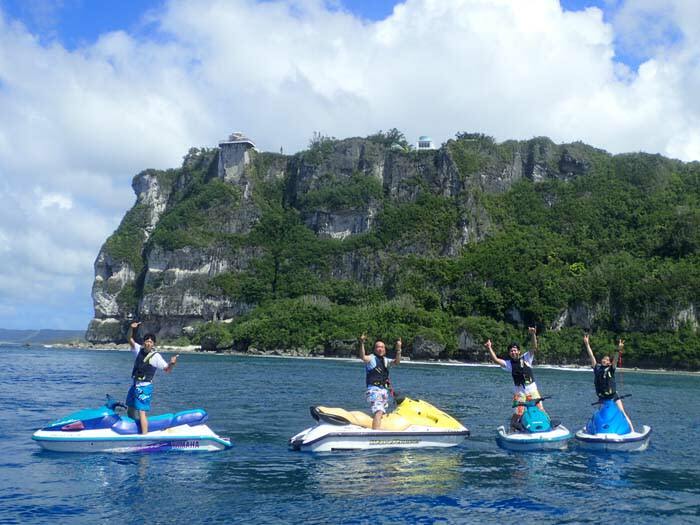 This is not a circuit course. 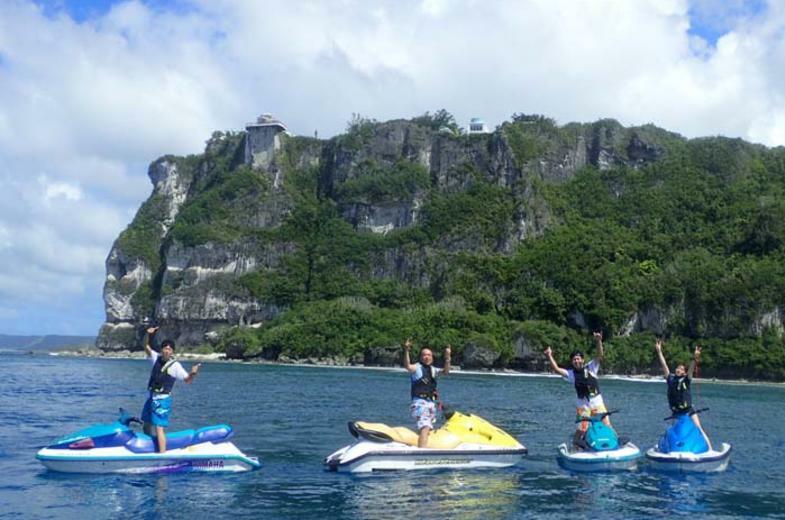 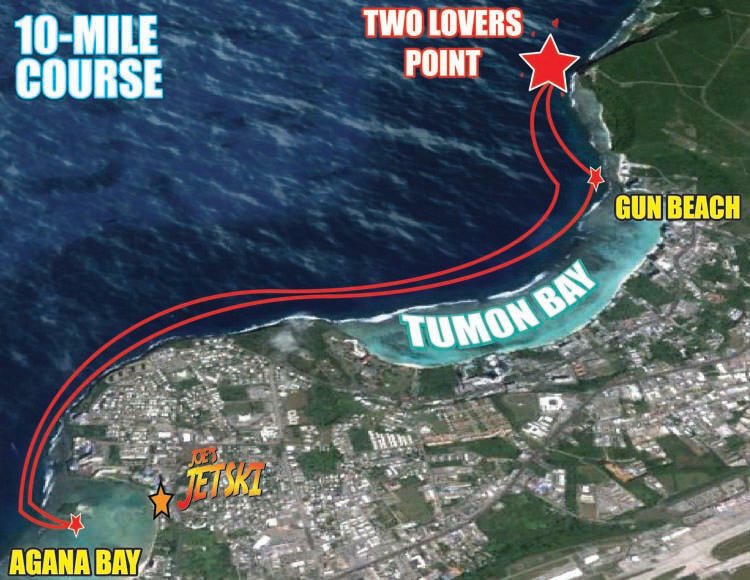 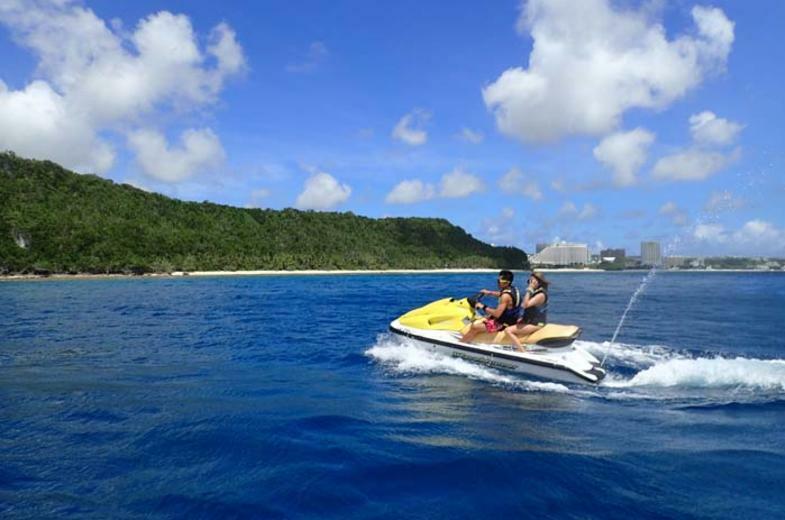 Enjoy the beautiful ocean waters and natural landscape of Guam without riding in a circle on a closed circuit course. 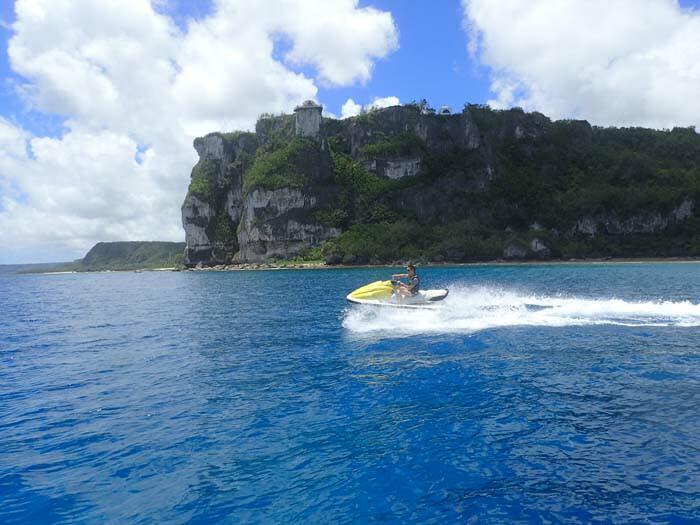 The tour takes approximately one hour to complete. 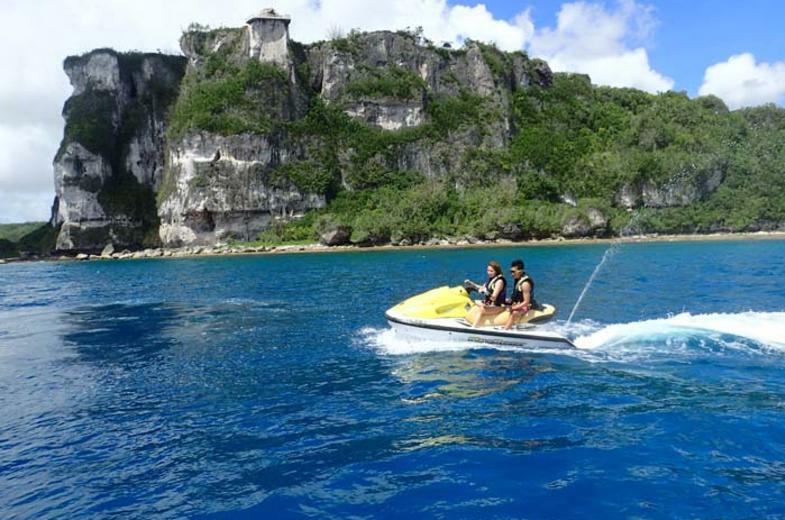 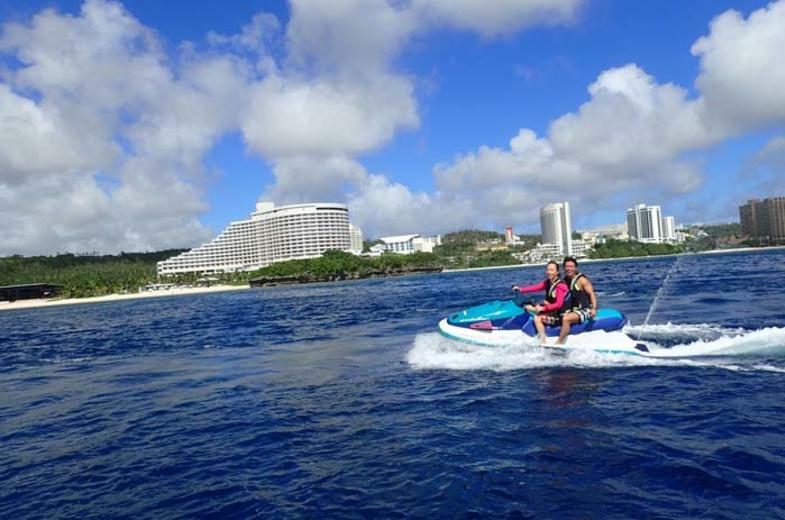 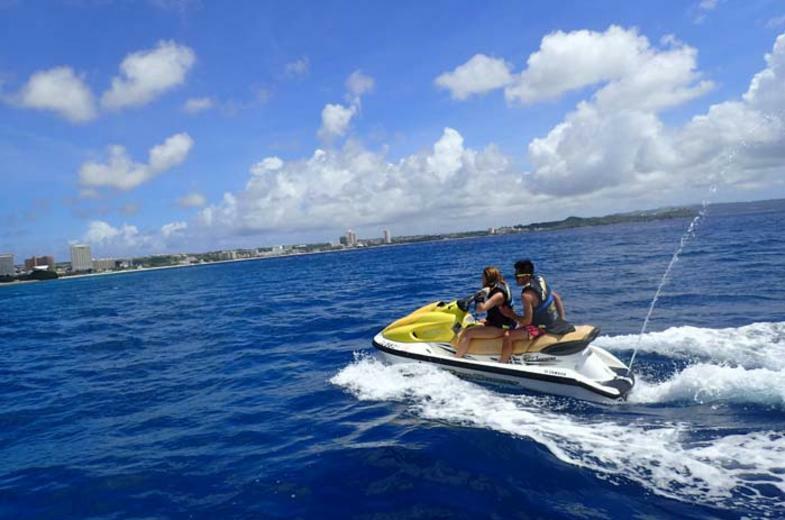 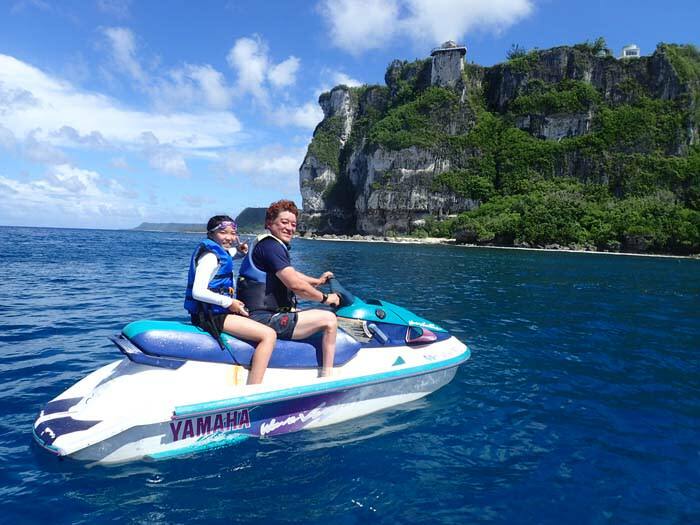 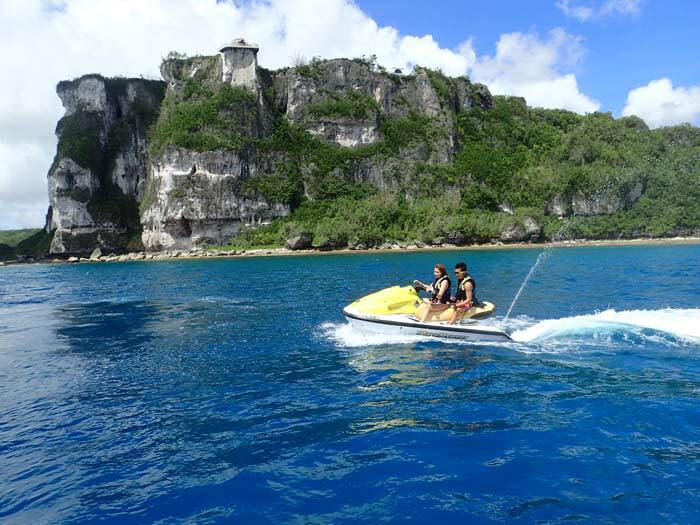 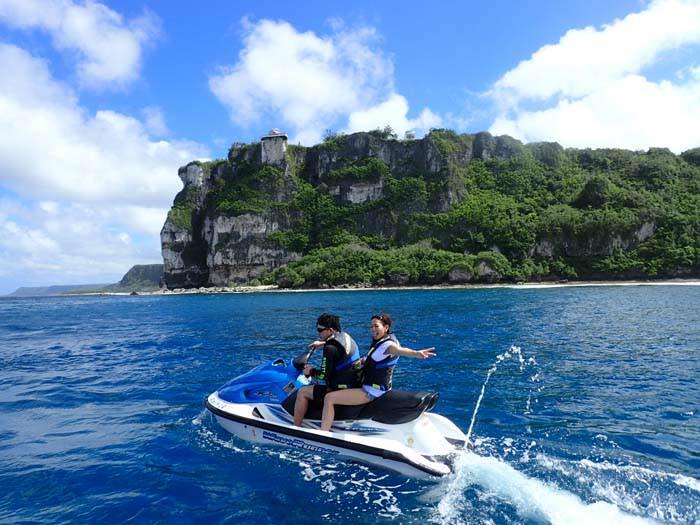 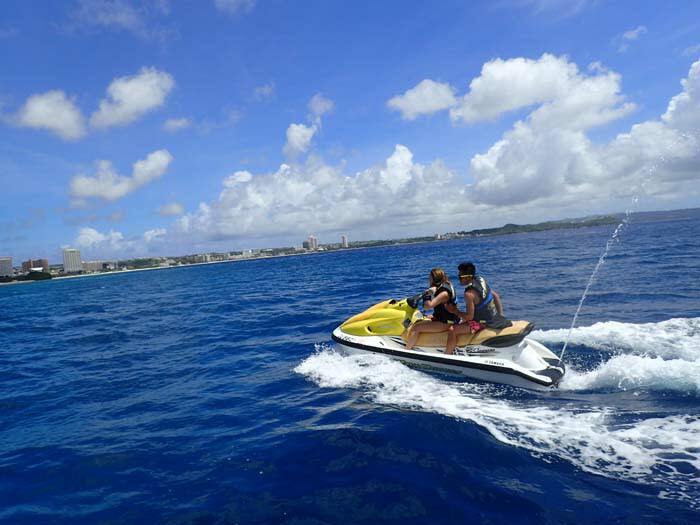 This tour provides a thrilling experience for those who want to ride a jet ski beyond the reef of Tumon Bay, and experience the natural beauty of Tumon Bay from a new perspective. 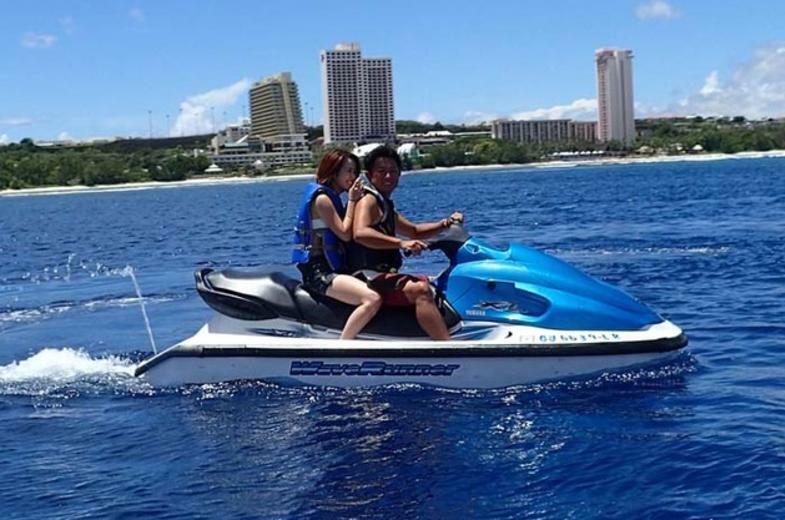 Visiting Two Lover’s Point on a jet ski is a very unique experience! 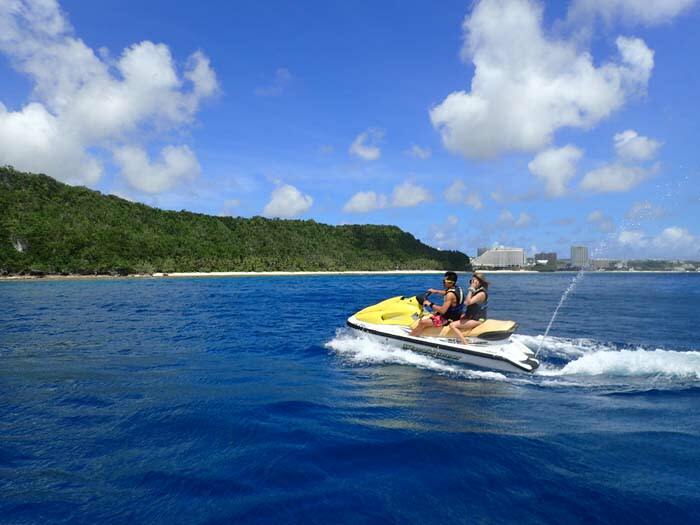 Lockers and shower are available on-site and changing rooms are available a few steps away at the Hotel Santa Fe. 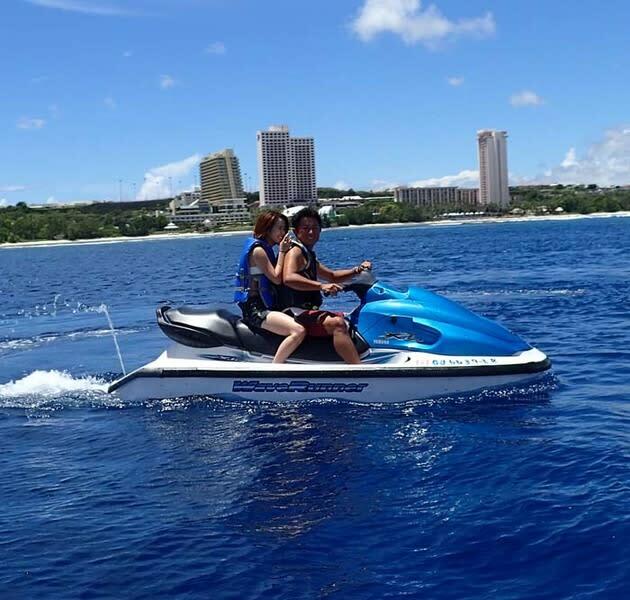 The hotel restaurant and bar is located next to Joe's Jet Ski, so customers may extend their time to eat at the restaurant at their option. 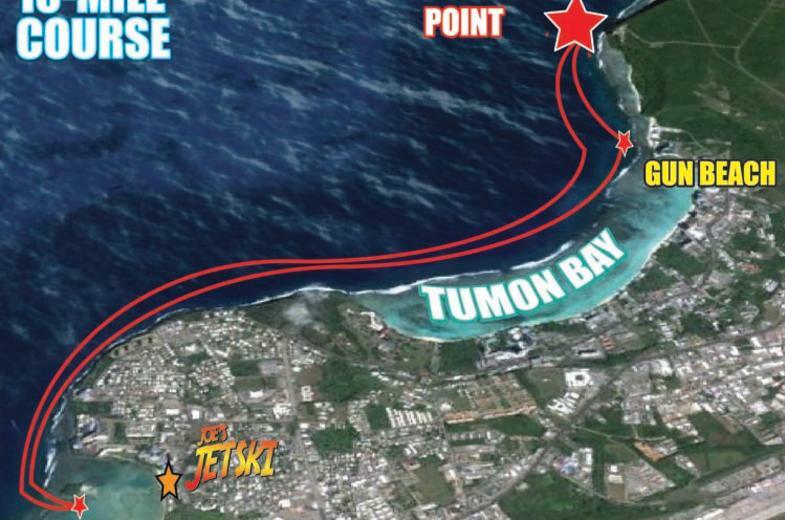 2-3 Hours from Pick-Up to Drop-Off! 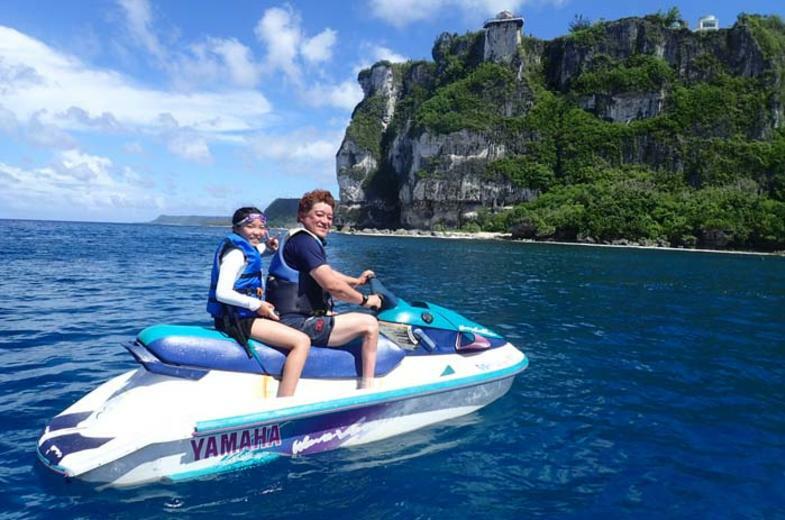 Must be 14 years old to ride your own jet ski. 8-13 years old may ride as passengers. 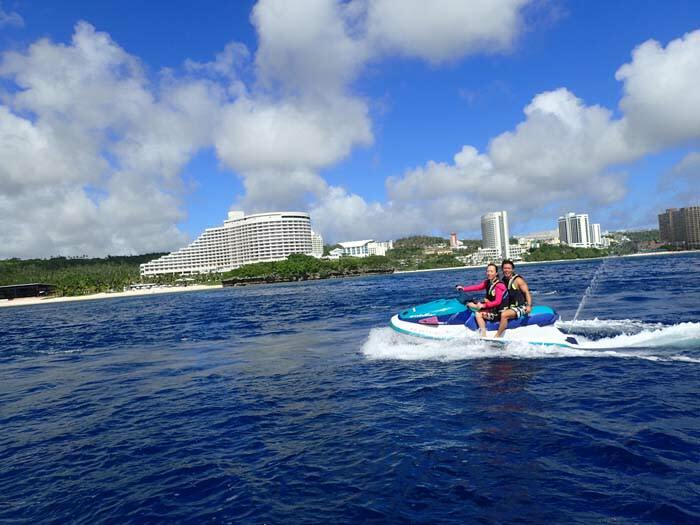 Passengers must ride with a paying adult 18 years or older. 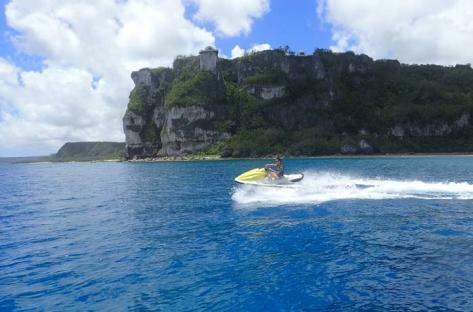 We strongly suggest making bookings at least 24 hours in advance.